Best Lenses for Fujifilm X-H1 mirrorless camera. Looking for recommended lenses for your Fujifilm X-H1? 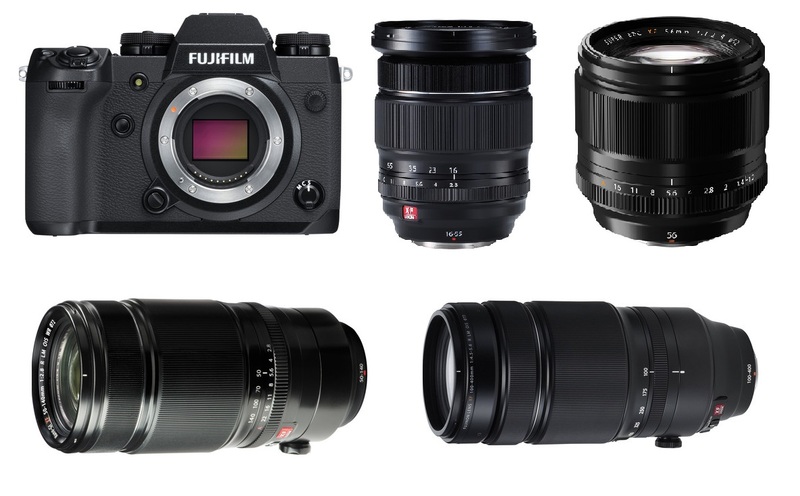 Here are the top recommended Fujifilm X-H1 lenses. Combining a robust, durable body with superior image quality and easy operation, the Fujifilm X-H1 ($1,899 at Amazon, B&H, Adorama) is the first camera in the series to include 5-axis 5.5 stops in-body image stabilization (IBIS), and the new ETERNA Film Simulation feature for outstanding video reproduction. This new Fujifilm X-H1 offers several major upgrades from the X-T2, including more extensive video options, flicker reduction mode, electronic shutter, improved AF performance, and a higher-resolution EVF. Offering excellent image quality, very good video performance and solid autofocus performance, the Fujifilm X-H1 mirrorless camera is ideal for those who are looking for a video/stills all-rounder. Here are the top recommended lenses for Fujifilm X-H1 mirrorless camera, including leading prime and zoom options from wide-angle to telephoto. You can choose the one you need. Best Lenses for Fujifilm X-H1 posted on Camera Times on May 6, 2018 12:39 pm .